Manicures are a great finishing piece for any outfit. 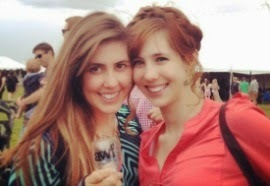 Dare I say, they make you look polished (sorry, it was right there...). I really like taking a neutral manicure and adding some sparkle. Neutral manicures go with every outfit, but can be a little boring. 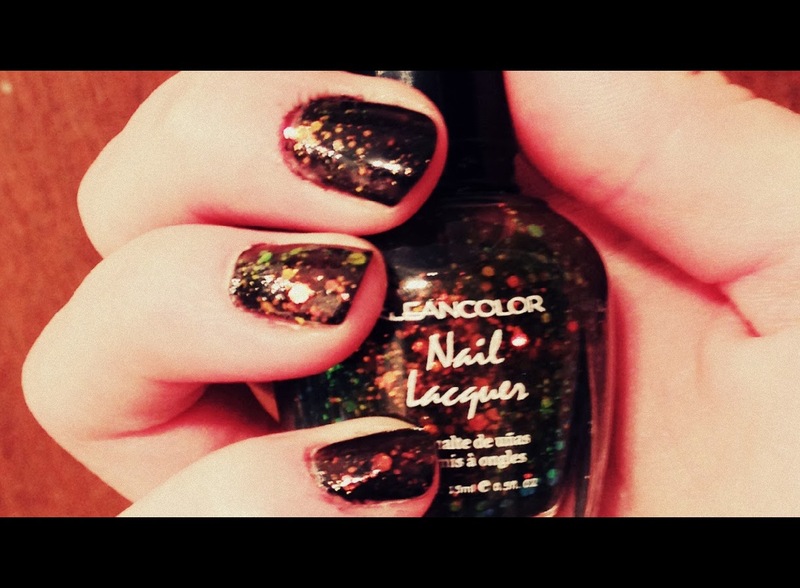 The sparkle makes your nails get noticed. Clean your nails. I like using cleaners that are acetone free. Groom your cuticles. Make sure they are pushed back to your nail beds. Trim and file your nails. There are so many great nail shapes, choose one that works for you. I've always heard that if you have rounded nail beds you should have a squared tip and vice versa, but some of my fingers have squared beds and others round, so I tend to make my nail tips a sort of square with rounded edges. Moisturize. Use any lotion you like so long as it won't leave your nails greasy. Choose your base color. I did two different looks. For the light colored look I used two coats of Essie's Allure and for the dark I used two coats of Maybelline Color Show's Twilight Rays. Let it dry. Follow up with your sparkle. 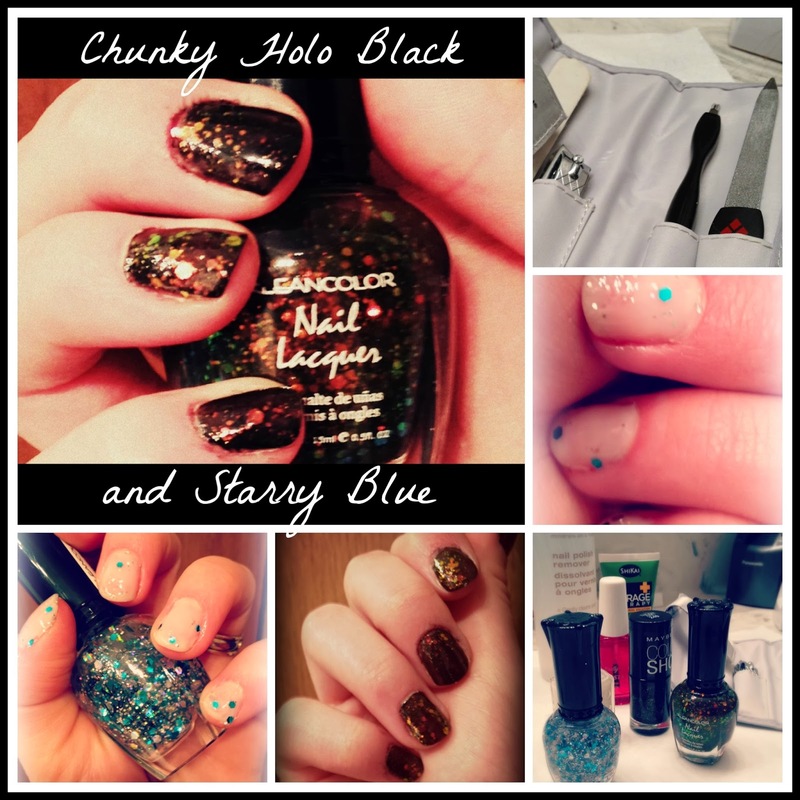 I used Starry Blue for the light manicure and Chunky Holo Black for the dark manicure. Let it dry. Follow up with a top coat. I use Sally Hansen's Insta-Dri Anti-Chip Top Coat. The biggest reason I use this top coat is that I'm terribly impatient. It lets you apply this over your manicure just two minutes later and the entire thing is dried in seconds. Now if you push on the manicure, you could still ruin it depending on how many coats you have, but it isn't going to smear just because you touched it. Now you're done! Enjoy! I really, really love the Chunky Holo Black polish from Sparkle On. I am a huge Whovian (for those who don't know, a Whovian is a fan of BBC TV show Dr. Who) and painted over black polish it makes me think of outer space. The sparkles turn so many different colors as you move your hand around, the pictures don't really do it justice. I'm a tad obsessed right now. The Starry Blue is also very pretty and reminds me of snow and winter. It would be great over a blue, white, or pink polish. I just love the Chunky Holo Black color! Today only Sparkle On is offering all of their polishes at half price. That means they are only $1.25! If you need some stocking stuffers or want to give yourself an affordable treat you should head over and check out all the polishes they have to offer! Chunky Holo Black & Starry Blue - C/O Sparkle On; Allure - Essie; Twilight - Maybelline; Insta-Dri Anti-Chip Top Coat - Sally Hansen.